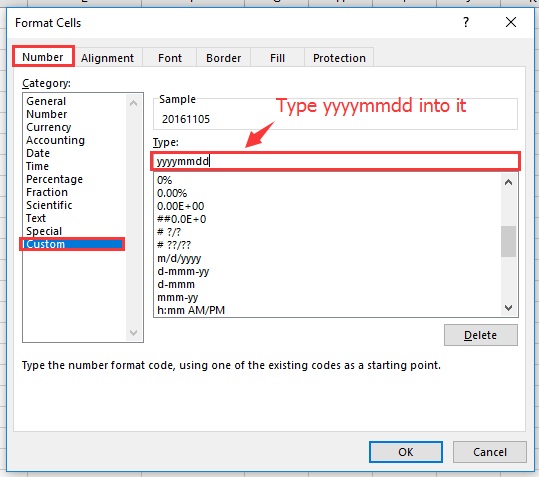 How to quickly convert mm/dd/yyyy date format to yyyymmdd in Excel? 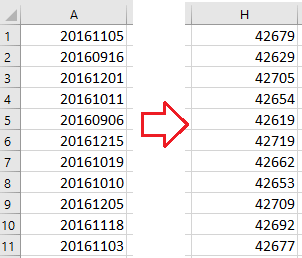 In Excel working, you might converted the date in yyyymmdd format to standard date format mm/dd/yyyy before, but have you ever tried to convert the date format mm/dd/yyyy back to the date string yyyymmdd as below screenshot shown? In this article, I will introduce the tricks on converting mm/dd/yyyy date format to yyyymmdd. 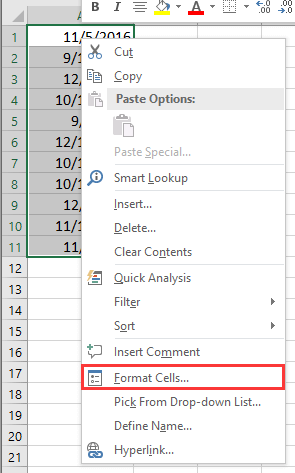 To convert date format as you need, the Format Cells feature must be the first choice. You also can use a formula to convert the date forma mm/dd/yyyy to a string yyyymmdd as text. In the formula, A1 is the date you use to convert, you can change it to meet your actual need. 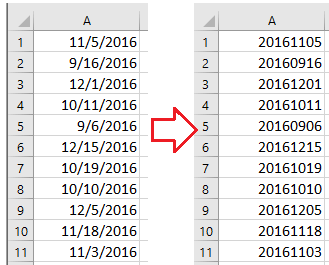 Tip.If you want to quickly convert multiple non-standard dates to the standard date mm/dd/yyyy, please try to use the Kutools for Excel’s Convert to Date as shown in the following screenshot. It’s full function without limitation in 60 days, please download and have a free trial now.